Britain’s top civil servant has been called upon to investigate the use of impartial officials by a group of Conservative MPs preparing a new Brexit plan for Theresa May. Cabinet Secretary Mark Sedwill has been asked to establish whether provision of civil servants to the Alternative Arrangements Working Group breaches Whitehall rules. The Group - made up entirely of Conservative MPs, predominantly backbenchers - has been meeting in the Cabinet Office this week with around a dozen civil servants from the Department for Exiting the European Union, the HMRC and the Northern Ireland Office. 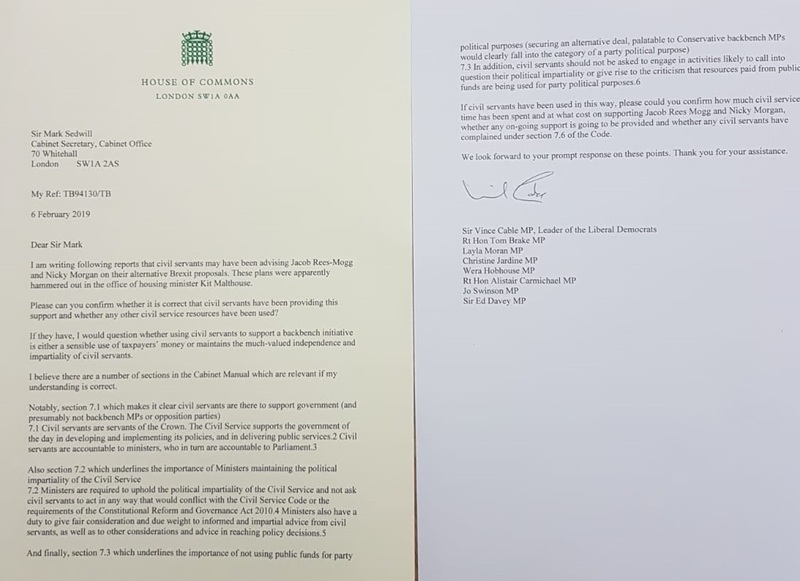 Lib Dem leader Sir Vince Cable has signed a letter to Mr Sedwill which reads: "I am writing following reports that civil servants may have been advising Jacob Rees-Mogg and Nicky Morgan on their alternative Brexit proposals. These plans were apparently hammered out in the office of housing minister Kit Malthouse. "Please can you confirm whether it is correct that civil servants have been providing this support and whether any other civil service resources have been used? "If they have, I would question whether using civil servants to support a backbench initiative is either a sensible use of taxpayers’ money or maintains the much-valued independence and impartiality of civil servants." "And finally, section 7.3 which underlines the importance of not using public funds for party political purposes (securing an alternative deal, palatable to Conservative backbenchers would clearly fall into the category of a party political purpose)." The letter also calls on Mr Sedwill to reveal the precise extent of civil service time spent on the meetings which are considering the so-called Malthouse Compromise. It asks whether any civil servants have complained under the code. The government's instruction to civil servants to support the group has been taken as an indication of support for the plan by No 10. 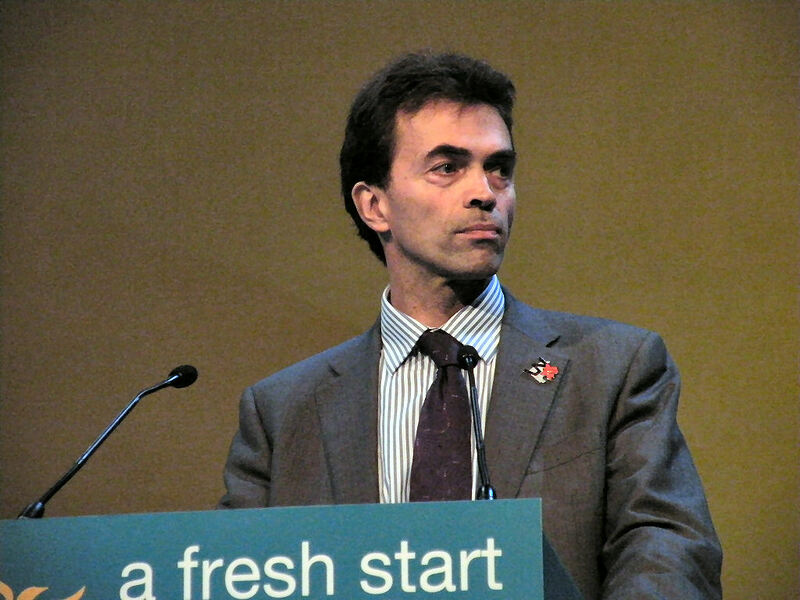 Liberal Democrat Brexit spokesperson Tom Brake said:“If Ministers have been instructing civil servants to assist Jacob Rees-Mogg and Nicky Morgan in their quest to find a unicorn, that can piece the Tory party back together again, this would be a flagrant breach of Ministerial rules. "Any costs associated with such a naked party political stunt would have to be reimbursed to taxpayers and instructions issued to all Ministers to refrain from abusing civil service resources in this way." A Government source told talkRADIO: “Civil servants have been assisting Ministers — and it is clearly an appropriate use of resources to help deliver Brexit legislation through Parliament. I am writing following reports that civil servants may have been advising Jacob Rees-Mogg and Nicky Morgan on their alternative Brexit proposals. These plans were apparently hammered out in the office of housing minister Kit Malthouse. Please can you confirm whether it is correct that civil servants have been providing this support and whether any other civil service resources have been used? If they have, I would question whether using civil servants to support a backbench initiative is either a sensible use of taxpayers’ money or maintains the much-valued independence and impartiality of civil servants. I believe there are a number of sections in the Cabinet Manual which are relevant if my understanding is correct. If civil servants have been used in this way, please could you confirm how much civil service time has been spent and at what cost on supporting Jacob Rees Mogg and Nicky Morgan, whether any on-going support is going to be provided and whether any civil servants have complained under section 7.6 of the Code. I look forward to your prompt response on these points.